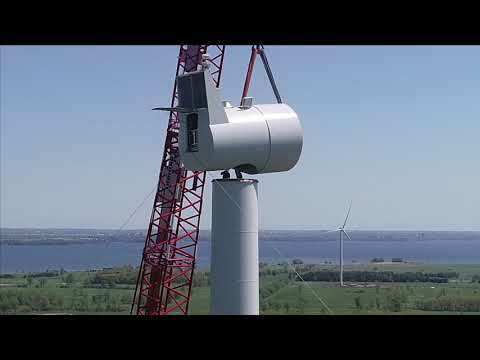 This project is located on Lake Ontario, near Kingston and has a total of 26 permitted 2.7 MW Siemens Turbines capable of producing 75 MW of generating capacity. Beginning in the spring of 2017 (with major construction starting October 2017), work involved a mainland switching station, submarine cable, transmission line, collector substation, collection system, municipal road upgrades, docking systems, turbine installation and commissioning. The logistics associated with this project included the movement of all aggregate, concrete, equipment, supplies and human capital to and from the island. The project involved over 1700 people including management and skilled laborers.